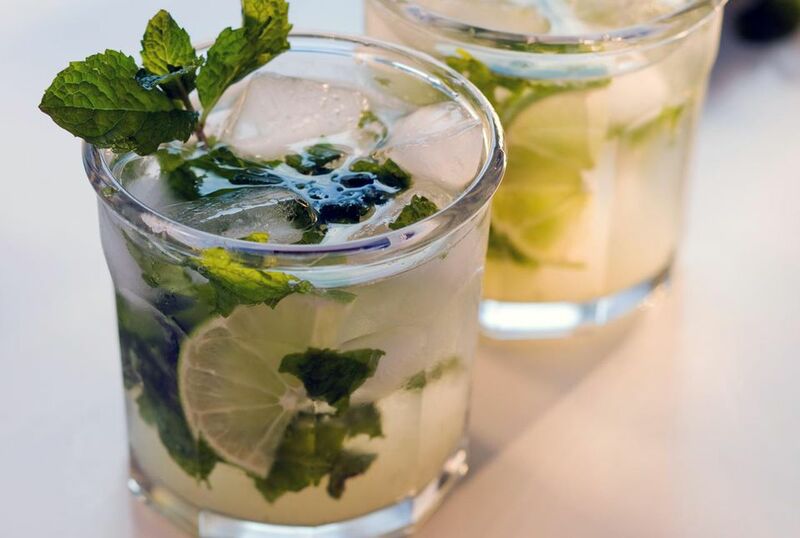 The mojito was born in Havana, Cuba and is a classic highball. Many variations of the drink abound, but this recipe calls for the five customary ingredients of mint, rum, powdered sugar, lime, and club soda. If you are throwing a Havana or Cuban theme party, plan on serving these fashionable yet traditional mojitos. Add the powdered sugar and then muddle the mint, lime juice and sugar together. Note: Yerba buena is the best variety of mint to use in this drink. Tiki or Sailor-Inspired? How Will You Take Your Navy Grog?